Abstract: A crack or a hole in metal sheet could be fatal for vehicle or others that use metal sheet for its body. Therefore to make metal sheet free from crack or hole an inspection using sensor is must. In this paper we proposed a new sensor using radio wave propagation to check whether a metal sheet has a cracks or hole. Our method was use RSSI to check the electromagnetic wave propagation signal strength. We design a low cost electromagnetic wave based sensor with just $37.8 dollar compare to RFID. We success to detect a hole or cracks at metal plate with 1mm thickness and hole diameter at 8mm, we sent 20 dBm signal strength , we receive at average -27.53 dBm for iron plate and -23.13 dBm for aluminum plate. Abstract: The hybrid methods were developed to improve the results of the single-component methods. On the other hand, a deep belief network (DBN)is a generative probabilistic modelwith multiple layers of latent variables and is used to solve the unlabeled problems. In fact, this method is anunsupervised method, in which all layers are one-way directed layers except for the last layer. So far, various methods have been proposed for image classification, and the goal of this research project was to use a combination of the AdaBoost method and the deep belief network method to classify images. The other objective was to obtain better results than the previous results. In this project, a combination of the deep belief network and AdaBoost method was used to boost learning and the network potential was enhanced by making the entire network recursive. This method was tested on the MINIST dataset and the results were indicative of a decrease in the error rate with the proposed method as compared to the AdaBoost and deep belief network methods. Abstract: In this paper, we propose an approach to detect and geotag advertisement billboard in real-time condition. Our approach is using AlexNet’s Deep Convolutional Neural Network (DCNN) as a pre-trained neural network with 1000 categories for image classification. To improve the performance of the pre-trained neural network, we retrain the network by adding more advertisement billboard images using inductive transfer learning approach. Then, we fine-tuned the output layer into advertisement billboard related categories. Furthermore, the detected advertisement billboard images will be geotagged by inserting Exif metadata into the image file. Experimental results show that the approach achieves 92.7% training accuracy for advertisement billboard detection. In addition, the advertisement billboard geotagging achieves a good performance under 4G networks. Abstract: In recent years, working on text classification and analysis of Arabic texts using machine learning has seen some progress, but most of this research has not focused on Arabic poetry. Because of some difficulties in the analysis of Arabic poetry, it was required the use of standard Arabic language on which “Al Arud”, the science of studying poetry is based. This paper presents an approach that uses machine learning for the classification of modern Arabic poetry into four types: love poems, Islamic poems, social poems, and political poems. Each of these species usually has features that indicate the class of the poem. Despite the challenges generated by the difficulty of the rules of the Arabic language on which this classification depends, we proposed a new automatic way of modern Arabic poems classification to solve these issues. The recommended method is suitable for the above-mentioned classes of poems. This study used Naïve Bayes, Support Vector Machines, and Linear Support Vector for the classification processes. Data preprocessing was an important step of the approach in this paper, as it increased the accuracy of the classification. Abstract: Attenuation by atmospheric rain is the most significant impairment in millimetre wave frequencies (mmWave). Modern instruments could provide detailed measurements of rain, such as raindrop size distributions (DSDs). The analysis of DSDs could estimate their effects on past or co-located links measurements. This study presents propagation analysis in the mmWave bands using measurements of two terrestrial links working at 26 and 38 GHz carried out in Johor, Malaysia. Statistics obtained have been analysed in detail to extract any excess attenuation. The DSDs provided by a disdrometer have been used to estimate rain attenuation. The derived results show that the estimation can provide reasonable accuracy after extracting the wet antenna effects and having the advantage of the availability of measurements from various types of equipment. Abstract: This paper represents design of a wideband Rectangular Dielectric Resonator antenna fed by an aperture coupled technique. A bandwidth of 2.2 GHz has been achieved using a cross slot aperture in a ground plane for Dielectric Resonator Antenna (DRA). The simulated gain value achieved is 6.5dBi. The Rectangular Dielectric Resonator which has been designed in this paper can be used in 5G application frequency band of 24.25-27.5 GHz. The calculated percentage bandwidth is 15.38 %. An optimization of slot dimensions has also mentioned which can help to select a desired impedance match. The measured gain and bandwidth are efficient to use this design for various 5G applications. This unit cell wideband DRA can be used for higher level frequencies of 5G. Abstract: This paper describes the development of a Fractal printed Yagi-Uda antenna for Wireless Local Area Network (WLAN) applications operating at 2.4 GHz frequency. In miniaturizing the dimensions of an antenna, fractal method is applied where the 1st iteration and 2nd iteration is implemented. The Computer Simulation Technology (CST) software is used as the platform to design and simulate the antenna. The substrate material used is the FR-4 board which has a dielectric constant of 5.4, the thickness of 1.6mm and tangent loss of 0.019. The antenna performance interm of the reflection coefficient, radiation pattern and gain are compared and analyzed. For the 1st iteration, 22.81% of reduction size has been achieved and 30.81% reduction of the antenna size for 2nd iteration has been achieved. Abstract: The exponential growth in demand for high data rate transmission to users in fifth generation wireless networks, focus there has been a particular research focus on new techniques that achievable high data rate by suppressing interference between neighboring cells. In this paper, we propose that system performance can be improved by using perfect channel estimation and reducing effective interference with pilot reuse that mitigate strong pilot contamination based on the knowledge of large-scale fading coefficients. We derived the lower bounds on the achievable data rate in downlink by analyzing the performance of the zero-forcing precoding method and derive the signal-to-interference noise ratio to mitigate interference between neighboring cells. From the simulation results, the large pilot reuse sequences improved the achievable data rate and provided better estimation for a channel. When the number of users is large, the interference between neighboring cells can be suppressed by using orthogonal pilot reuse sequences. 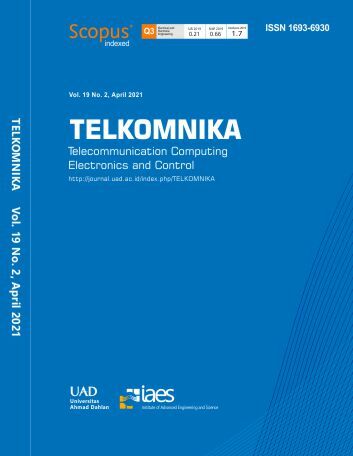 Abstract: This paper proposes an improved user-centric Non-Orthogonal Multiple Access (NOMA) communication in two-base station networks with in-band full duplex (IBFD) user. We derive the achievable rates of the proposed user-centric NOMA systems. For benchmarking purposes, we also derive the achievable rate for the user-centric system deploying conventional NOMA schemes, Orthogonal Multiple Access (OMA) schemes and point-point communication systems. We then analyze and simulate the performance of the proposed and all the benchmarked systems. We found that our proposed user-centric NOMA approach has a 64% improvement in the total achievable rate when compared to the benchmarked approach under similar power constraint. Abstract: A communication method is proposed using Minimum Mean Square Error (MMSE) precoding and Successive Interference Cancellation (SIC) technique for millimetre-wave multiple-input multiple-output (mm-Wave MIMO) based wireless communication system. The mm-Wave MIMO technology for wireless communication system is the base potential technology for its high data transfer rate followed by data instruction and low power consumption compared to Long-Term Evolution (LTE). The mm-Wave system is already available in indoor hotspot and Wi-Fi backhaul for its high bandwidth availability and potential lead to rate of numerous Gbps/user. But, in mobile wireless communication system this technique is lagging because the channel faces relative orthogonal coordination and multiple node detection problem while rapid movement of nodes (transmitter and receiver) occur. To improve the conventional mm-wave MIMO nodal detection and coordination performance, the system processes data using symbolized error vector technique for linearization. Then the MMSE precoding detection technique improves the link strength by constantly fitting the channel coefficients based on number of independent service antennas (M), Signal to Noise Ratio (SNR), Channel Matrix (CM) and mean square errors (MSE). To maintain sequentially encoded user data connectivity and to overcome data loss, SIC method is used in combination with MMSE. MATLAB was used to validate the proposed system performance. Abstract: Fifth-generation (5G) is a wireless connection built specifically to keep up with the rapid increase of devices that need a mobile internet connection. A system working on 5G band can provide higher bandwidth and faster data rate as compared to fourth-generation (4G) band. Thus, an antenna with higher gain and lower profile is required to support this system. On the other hand, the performance of circular polarization antenna is better than linear polarization antenna due to its ability to accept wave from different direction. In this project, a low profile circular polarization folded reflectarray antenna with operating frequency of 28 GHz is presented. This project is divided into two parts. In the first part, a linear polarization folded reflectarray antenna is designed. In this second part, a meander lines polarizer is used to convert the linear polarization antenna to circular polarization antenna. The antenna is fed by a linear polarized waveguide. Each radiating element of the antenna is in rectangular shape. The size of the radiating elements are selected according to obtain required phase delay to form a planar phase front in the far-field distance. Both of the antennas are simulated by using Computer Simulation Technology (CST) software. Finally, the results shows excellent performances with 16.81dB directivity and 1.49dB axial ratio at 28GHz. Thus, the antenna is very suitable for 5G applications. Abstract: A patch antenna with rectangular-shaped ring slot that fed by a coaxial probe is proposed in this article as the single element for planar patch array antenna design to meet the requirement of multiple input multiple output (MIMO) in fifth generation (5G) technology. Initially, the single antenna element is designed at three different center frequencies of 0.85, 1.9 and 2.6 GHz to cover the mobile operating frequency of 0.8, 0.85, 0.9, 1.8, 2.1 and 2.6 GHz, which considering the proposed 5G spectrum below than 6 GHz. The rectangular-shaped ring slot is introduced to the patch antenna with the partial ground plane to widen the bandwidth performance. The designed single element is then arranged to design planar arrays of 2 x 2. Each of elements in the planar array is fed by a coaxial probe. The designs are utilizing a high-performance substrate, Rogers 6010LM. Abstract: An array of half-width microstrip leaky-wave antennas (HW-MLWAs) of two uniform elements was designed to obtain maximum boresight radiation. Achieve this, two uniforms of HW-MLWAs are placed at 180◦ and fed by a probe located at the center between the elements, two uniforms of HW-MLWAs, loaded terminated by 50Ω lumped element. Two beams from two branches individual merge to form the resultant directive beam. The simulation represents the susceptibility of the proposed array of uniform HW-MLWAs to the radiation broadside direction effectively. The predict bandwidth matched of the array is 582 MHz (4.18 – 4.76 GHz). The direction of its main beam in boresight happens over a wide 13%, relatively (4.18 - 4.76 GHz) band. The proposed peak gain at the boresight direction of the array is 9.91 dBi. Abstract: In the bid to bring about a solution to the nagging problem associated with the provision of ubiquitous broadband access, Next Generation Network (NGN) popularly referred to as Long Term Evolution (LTE) network with appropriate network integration technique is recommended as solution. Currently, Internet Protocol/Multi-Protocol Label Switching (IP/MPLS) is the transport technique in LTE backbone infrastructure. This technique, however, suffers significantly in the event of failure of IP path resulting in delay and packet loss budgets across the network. The resultant effect is degradation in users’ quality of service (QoS) experience with real-time services. A competitive alternative is the Internet Protocol /Asynchronous Transfer Mode (IP/ATM). This transport technique provides great dynamism in the allocation of bandwidth and supports varying requests of multimedia connections with diverse QoS requirements. This paper, therefore, seeks to evaluate the performance of these two transport techniques in a bid to establish the extent to which the latter technique ameliorates the aforementioned challenges suffered by the previous technique. Results from the simulation show that the IP/ATM transport scheme is superior to the IP/MPLS scheme in terms of average bandwidth utilization, mean traffic drop and mean traffic delay in the ratio of 9.8, 8.7 and 1.0% respectively. Abstract: An electrically steerable beam is an essential standard in the recent wireless application in order to increase the gain and reduce the interference. A wideband beamforming network based on a printed microstrip Rotman lens with a ±26o scanning angle was designed in this study. The designed lens operates at 2.45 GHz with 592 MHz bandwidth. The lens consists of five switchable ports (input ports) with four output ports that connected to the microstrip patch antennas. The five switchable ports were used to realize the scanning beams angle in the azimuth plane. The proposed model is simulated by CST Microwave Studio and fabricated on FR-4 with 1.565 mm thickness and 4.2 permittivity. A good agreement between simulation and measurement results were achieved. Abstract: High speed applications require the access network upgrading based on new optical technologies in “last mile”. At the planning stage of network modernization, special algorithms and techniques allow optimize and automate the designing process of network upgrade based on copper cables. However, these techniques are completely inapplicable if optical technologies are used to the access network modernization. Designed algorithm simplifies the throughput calculation of current access nodes and planning of new access nodes depending on subscriber’s requirementst to the broadband services. Developed program based on proposed algorithm allows to determinate access nodes optimal deployment as well as the required equipment characteristics. Abstract: The study was aimed at assessing the students’ continuance intention (SCI) in using multimedia online English learning including its perceived usefulness (SPU), ease-of-use (SPE), and flow experience (SFE). The samples were 523 students who used online English learning resources and examined the content online learning resources as well as its multimedia aspects. The Extended Technology Acceptance Model (TAM) was used to predict the SCI. The results indicate that the students’ intentions are influenced positively by its perceived usefulness, ease-of-use, and its flow experience. Students’ Perceived usefulness (SPU) influenced more students’ motivation than ease-of-use (SPE). It is recommended that designers of on-line English lessons should be more specific in determining target users. The on-line learners’ skill on ICT, pedagogical principles, and technological barrier in different region are among the determinant aspects for receiving positive enduring intention. Abstract: The demand for high-performance, smaller-sized, and multi-functional electronics component poses a great challenge to the thermal management issues in a printed circuit board (PCB) design. Moreover, this thermal problem can affect the lifespan, performance, and the reliability of the electronic system. This project presents the simulation of an optimal thermal distribution for various samples of electronics components arrangement on PCB. The objectives are to find the optimum components arrangement with minimal heat dissipation and cover small PCB area. Nelder-Mead Optimization (NMO) with Finite Element methods have been used to solve these multi-objective problems. The results show that with the proper arrangement of electronics components, the area of PCB has been reduced by 26% while the temperature of components is able to reduce up to 40%. Therefore, this study significantly benefits for the case of thermal management and performance improvement onto the electronic product and system. Abstract: Plants, flowers and crops are living things around us that makes our earth more productive and beautiful. In order to growth healthy, they need water, light and nutrition from the soil in order to effect cleaning air naturally and produce oxygen to the world. Therefore, a technology that manage to brilliantly control plants watering rate according to its soil moisture and user requirement is proposed in this paper. The developed system included an Internet of Things (IoT) in Wireless Sensor Network (WSN) environment where it manages and monitors the irrigation system either manually or automatically, depending on the user requirement. This proposed system applied Arduino technology and NRF24L01 as the microprocessor and transceiver for the communication channel, respectively. Smart agriculture and smart lifestyle can be developed by implementing this technology for the future work. It will save the budget for hiring employees and prevent from water wastage in daily necessities. Abstract: A novel wireless sensor network node (WSNN) is presented in this paper where the solar energy harvester system is used as an autonomous power solution for endless battery lifetime. In this sensor node, the meander-line Inverted-F-Antenna (MIFA) is proposed and integrated in a single -CC2650 chip of Texas Instrument. The simple structure, low cost, compact size, high efficiency and low power consumption are advantages of this single-chip WSNN. The experimental results show that MIFA antenna is promising solution to enhance communication performance in WSN. In addition, the investigated single-chip WSNN with multi-wireless technologies including Bluetooth Low Energy and Zigbee as well as 6LowPAN is an attractive device for internet of thing (IoT) applications. Abstract: This paper describes the breakdown characteristic of the low density poly ethylene film caused by partial discharge in the air gap. The purpose of this paper is to clarify the effect number of discharge under repetition rectangular pulses with a needle-plane electrode system as a function of pulse frequency. The result performed, from 10 Hz up to 1000 Hz. From 10 Hz to 200 Hz, the pulse number up to breakdown did not change significantly with increasing the pulse frequency and the magnitude of partial discharge function of pulse number with varied frequency until breakdown were similar. By using both potential decay and surface degradation analysis function of number of pulse, the breakdown phenomena caused by partial discharge was shown to reveal a significant correlation between electrical properties and the transparency of its surface to change deposited on it by a partial discharge exposure. Abstract: Limboto Lake is one of the lakes in Gorontalo Province; its water supply is generated from 23 small and large rivers. The lake holds potential in several sectors, e.g., tourism, fisheries, socio-economy and culture. However, such an advantage has no quality information system as it is found that there are no particular services that manage the information regarding Limboto Lake accurately. The objective of this research is to create an information system for the management of the potential area of the lake to provide quality services to access the information accurately and completely. The provided information is also updated timely. This research employed the System Development Life Cycle (SDLC) method in the development of the information system. Furthermore, the data were collected from interview, observation, and reviewing literature and document. This system is tested using white box and black box where it generated the expected outcome and is web-based. The output of this research is a system that eases the society to access the information regarding the management of the potential area in Limboto Lake. devices to monitor WiFi networking signals have long been a part of the security auditor’s arsenal, but similar tools for Bluetooth are bespoke, expensive, and not adopted by most security pentesters. However, this has changed with the introduction of the Ubertooth One, a low-cost and open-source platform for monitoring Bluetooth Classic signals. Using a combination of the Ubertooth One, and other high-power Bluetooth devices, an auditor should now be able to actively scan for rogue devices that may otherwise have been missed. This research examines various hardware combinations that can be used to achieve this functionality, and the possible implications from a compliance point of view, with a focus on the standards used by the Payment Card Industry Data Security Standard (PCI-DSS), and the guidelines offered by the National Institute of Standards and Technology (NIST). We compare the results of scanning with traditional Bluetooth devices as opposed to an Ubertooth/Bluetooth combination. We show how the ability to monitor a larger portion of Bluetooth traffic can highlight serious implications in the compliance landscape of many organisations and companies. We demonstrate that identifying non-discoverable devices with Bluetooth enabled is a crucial element in holistic security monitoring of threats. Abstract: Because of the feasible and impressive fallout, the classical Super-Resolution Reconstruction (SRR) is the contemporary algorithm for improving spatial information and reducing noise and SISR (Single-Image Super-Resolution) method, which is form on the classical SRR, is solely developed for improving spatial information. Disastrously, deficiency of the classical SISR method is conceptually computed from three specifications (b, h, k) and the simulating calculation of the optimized specifications for interpolating the better and higher spatial information images with highest PSNR is so burdersome. For figuring out this issue, the Geman&Mcclure function is proposed to replace with the ordinary SISR function because this function is conceptually computed from only one specification (T), contrary to three specifications similar to classical SISR method hence this analytic article focuses to offer a novel elementary spatial expanding scheme form on SISR method with modifying Geman&Mcclure function. Therefore, the fallout of a proposed spatial expanding scheme approximately matches to classical SISR method. From these reason, a novel elementary spatial expanding scheme is easily implemented for real works. Abstract: Channel selection is an improvement technique to optimize EEG-based BCI performance. In previous studies, many channel selection methods—mostly based on spatial information of signals—have been introduced. One of these channel selection techniques is the energy calculation method. In this paper, we introduce an energy optimization calculation method, called the energy extraction method. Energy extraction is an extension of the energy calculation method, and is divided into two steps. The first step is energy calculation and the second is energy selection. In the energy calculation step, l2-norm is used to calculate channel energy, while in the energy selection method we propose three techniques: “high value” (HV), “close to mean” (CM), and “automatic”. All proposed framework schemes for energy extraction are applied in two types of datasets. Two classes of datasets i.e. motor movement (hand and foot movement) and motor imagery (imagination of left and right hand movement) were used. The system used a Common Spatial Pattern (CSP) method to extract EEG signal features and k-NN as a classification method to classify the signal features with k = 3. Based on the test results, all schemes for the proposed energy extraction method yielded improved BCI performance of up to 58%. In summary, the energy extraction approach using the CM energy selection method was found to be the best channel selection technique. Abstract: Image retrieval is the technique that helps Users to find and retrieve desired images from a large image dataset. The user has firstly to formulate a query that expresses his/her needs. This query may come in textual form as in semantic retrieval, in visual example form as in query by visual example, or as a combination of these two forms named query by semantic example. The focus of this paper lies in the techniques of analysing queries composed of multiple semantic examples. This is a very challenging task, to solve such a problem, we introduce a model based on Bayesian generalization. In cognitive science, Bayesian generalization, which is the base of most works in literature, is a method that tries to find, in one hierarchy of concepts, the parent concept of a given set of concepts. In addition and instead of using one single concept hierarchy, we propose a generalization so it can be used with multiple hierarchies where each one has a different semantic context and contains several abstraction levels. Experimental evaluations demonstrate that our method, which uses multiple hierarchies, yields better results than those using only one single hierarchy. disease diagnostic process. This makes it crucial to improve the quality of a medical image with the goal to enhance perceivability of the points of interest in order to obtain accurate diagnosis of a patient. Despite the reliance of various medical diagnostics on utilize X-rays, they are usually plagued by dark and low contrast properties. Sought-after details in X-rays can only be accessed by means of digital image processing techniques, despite the fact that these techniques are far from being perfect. In this paper, we implement a wavelet decomposition and reconstruction technique to enhance radiograph properties, some of which include contrast and noise, by using a series of morphological erosion and dilation to improve the visual quality of the chest radiographs for the detection of cancer nodules. Abstract: To know the electric risks for the human health having electric discharges on low and medium voltage urban networks, helps to the people to make aware about doing actions of prevention and safety, which reach to prevent injuries and/or accidental deaths. In this paper, simulations on ATP-Draw software over three different specific risk cases were done, based on the concurrent problem presented in the central region of Colombia between august and october when people use to fly kites. The first case analyzed is an individual who has an indirect contact with medium voltage transmission lines by means on a conventional kite, presenting no serious effects on its health. In the second and in the third case, the individual generates a direct contact both low and medium voltage lines, when tries to recover a stuck kite, receiving high health effects even producing death. The main goal of this work is to show the different consequences and effects in the human body which are presented over a person when receiving an electric discharge by direct contact, in order to prevent accidents. Abstract: A Schottky diode-based sensor is a promising structure for high sensitive and low power sensor. This paper investigates a device called back-to-back Schottky diode (BBSD) for humidity sensing operation. The BBSD provides simpler device configuration that can be fabricated using less complicated process. The current-voltage characteristic of the fabricated BBSD was measured at different relative humidity. From the obtained characteristics, series resistance, barrier height and ideality factor was analyzed. The device current increased at higher humidity level. The current increase could be associated to the decrease in series resistance, barrier height and ideality factor. When humidity decreased from 11 % to 97%, the barrier height showed reduction of 0.1 eV. The barrier height reduction was explained by considering electric field-induced reduction of graphene oxide. The observed result confirmed the device feasibility as promising simple and low cost humidity sensor. Abstract: Honey, a natural sweet substance and also a high-value foodstuff has been a target for adulteration. This paper reports the early stage development of optical fiber tip sensor using a standard single mode fiber for adulterated honey detection. The development of simple, sensitive and low-cost sensor for direct detection of adulterated honey is a considerable interest in this context. A pure stingless bee honey was mixed with glucose adulterant at different volume ratios for the adulteration process. By changing this chemical composition, the refractive index of the adulterated honey varied and Fresnel reflection occured at the interface between the fiber tip and the adulterated honey solution also changed. The average sensitivity achieved by this sensor is 0.29 dBm/% with linear regression value up 0.97. This shows that, the sensor has a potential in adulterated honey detection. Abstract: Sulphur hexafluoride (SF6) gas owns remarkable properties as insulation medium and current interrupter, which make it being widely used in gas-insulated equipment up to now. However, SF6 gas has a drawback that gives adverse effect to the environment since it is a strong greenhouse gas. As the effort to minimize the SF6 usage, this study was conducted to investigate the AC breakdown behavior of SF6/N2 gas mixtures with 10/90 ratio at low pressure levels (i.e. 0.11 MPa to 0.15 MPa) under non uniform field (i.e. R0.5-plane and R6-plane electrodes configurations). The results of the study indicate that the breakdown voltage of SF6/N2 gas mixtures in non-uniform field increases linearly with the increase of gas pressure and electrodes gap distance. As a function of gap distance, a higher increasing rate of breakdown voltage values were achieved at lowest pressure of 0.11 MPa compared to other pressure levels. In addition, it is also found that a higher breakdown voltage values was obtained under R6-plane configuration. But, the difference in breakdown voltage values between R0.5-plane and R6-plane configuration is less significant as the gap distance is increased. It is also observed that the field efficiency factor of R6-plane is higher than R0.5-plane which indicates a more uniform field exists between the electrodes. Abstract: This paper compares ASIC and FPGA implementations of two commonly used architectures for 2-dimensional discrete cosine transform (DCT), the parallel and folded architectures. The DCT has been designed for sizes 4x4, 8x8, and 16x16, and implemented on Silterra 180nm ASIC and Xilinx Kintex Ultrascale FPGA. The objective is to determine suitable low energy architectures to be used as their characteristics greatly differ in terms of cells usage, placement and routing methods on these platforms. The parallel and folded DCT architectures for all three sizes have been designed using Verilog HDL, including the basic serializer-deserializer input and output. Results show that for large size transform of 16x16, ASIC parallel architecture results in roughly 30% less energy compared to folded architecture. As for FPGAs, folded architecture results in roughly 34% less energy compared to parallel architecture. In terms of overall energy consumption between 180nm ASIC and Xilinx Ultrascale, ASIC implementation results in about 58% less energy compared to the FPGA. Abstract: This paper reported the finding of a new two-scroll chaotic system possessing two nonlinearities. The dynamical properties of the system such as dissipativity, equilibrium points, Lyapunov exponents, Kaplan-Yorke dimension and bifurcation diagram were studied in detail. The presence of coexisting chaotic attractors, coexisting chaotic and periodic attractors in the system was investigated. In addition, the offset boosting of a variable was achieved by adding a single controlled constant. It was shown that the new chaotic system has rotation symmetry about the z-axis. An electronic circuit simulation of the new two-scroll chaotic system was built using Multisim to check the feasibility of the model. Abstract: This paper presents the temperature-gate oxide thickness characteristics of a fin field-effect transistor (FinFET) and discusses the possibility of using such a transistor as a temperature nano-sensor. The investigation of channel oxide thickness–based temperature characteristics is useful to optimized electrical and temperature characteristics of FinFET. Current–voltage characteristics with different temperatures and gate oxide thickness values (Tox = 1, 2, 3, 4, and 5 nm) are initially simulated, and the diode mode connection is considered to measure FinFET’s temperature sensitivity. Finding the best temperature sensitivity of FinFET is based on the largest change in current (∆I) within a working voltage range of 0–5 V. According to the results, the temperature sensitivity of FinFET increases linearly with oxide thickness within the range of 1–5 nm, furthermore, the threshold voltage and drain-induced barrier lowering increase with increasing oxide thickness. Also, the subthreshold swing (SS) is close to the ideal value at the minimum oxide thickness (1 nm) then increases and diverges with increasing oxide thickness. So, The best oxide thickness (nearest SS value to the ideal one) of FinFET under the conditions described in this research is 1 nm. Abstract: Research on unmanned aerial vehicle (UAV) became popular because of remote flight access and cost-effective solution. 3-degree of freedom (3-DOF) unmanned helicopters is one of the popular research UAV, because of its high load carrying capacity with a smaller number of motor and requirement of forethought motor control dynamics. Various control algorithms are investigated and designed for the motion control of the 3DOF helicopter. Three-degree-of-freedom helicopter model configuration presents the same advantages of 3-DOF helicopters along with increased payload capacity, increase stability in hover, manoeuvrability and reduced mechanical complexity. Numerous research institutes have chosen the three-degree-of-freedom as an ideal platform to develop intelligent controllers. In this research paper, we discussed about a hybrid controller that combined with Adaptive and Quantitative Feedback theory (QFT) controller for the 3-DOF helicopter model. Though research on Adaptive and QFT controller are not a new subject, the first successful single Adaptive aircraft flight control systems have been designed for the U.S. Air Force in Wright Laboratories unmanned research vehicle, Lambda . Previously researcher focused on structured uncertainties associated with controller for the flight conditions theoretically. The development of simulationbased design on flight control system response, opened a new dimension for researcher to design physical flight controller for plant parameter uncertainties. At the beginning, our research was to investigates the possibility of developing the QFT combined with Adaptive controller to control a single pitch angle that meets flying quality conditions of automatic flight control. Finally, we successfully designed the hybrid controller that is QFT based adaptive controller for all the three angles. Abstract: This paper presents a new approach for improving the performance of the pneumatic positioning system by incorporating a nonlinear gain function with observer system. System identification technique has been employed to represent the pneumatic system, while a model predictive control (MPC) with the observer system has been employed as the main controller to control the positioning of the system. The nonlinear gain function has been incorporated with the control strategy to compensate nonlinearities and uncertainties inherent in the parameters of the system. Unconstrained and constrained cases of control signals have been considered in this study. Simulation based on Matlab/Simulink indicated a reduction in overshoot of the system response for both cases due to additional nonlinear gain function in the strategy. Furthermore, remarkable enhancement was observed in effectiveness of this function while incorporated in constrained case, when this new strategy successfully improved the transient response in the pneumatic positioning system. Abstract: The renewable energy technology has become very popular due to major constraint in the existing electrical system such as high electricity demand, increased in fuel prices and concern of environmental pollution. The aims of this project are to develop a complete Proton Exchange Membrane Fuel Cell (PEMFC) model with hydrogen reformer by using MATLAB/ Simulink with three different controllers and comparison between the three controllers will be discussed. This project presents the development of methods to solve the problem of PEMFC output voltage by using different controllers which are Proportional Integral (PI), Proportional Integral Derivatives (PID) and Proportional Integral Fuzzy (PI-Fuzzy) controllers. The Ziegler Nicholas tuning method is used to tune PI and PID gains in a Simulink model. It helps the system to achieve a balance between performance and robustness for both controllers. The Mamdani type was used to develop the fuzzy controller in Simulink model. The transient performances that will be discussed are rise time, settling time, maximum overshoot, and percentage of overshoot. The results show that the proposed PI-Fuzzy is better than the conventionally used PI and PID controllers. Abstract: The Electro-hydraulic actuator (EHA) systems known to be extremely nonlinear due to its dynamic characteristics and these existing nonlinearities and uncertainties yield to the constraint in the control of EHA system, which influences the position tracking accuracy and affect the occurrences of leakage and friction in the system. The purpose of this work is to develop the mathematical model for the industrial electrohydraulic actuator, then to design a controller by proportional-integral-derivative (PID) and optimize the parameters using Particle Swarm Optimization - Gravitational Search Algorithm (PSOGSA). A few controllers such as conventional PID (CPID) and model reference adaptive control (MRAC) designed for comparison. The performance of PID, PID-PSOGSA and modern controller MRAC will be compared in order to determine the most efficient controller. Despite all controllers are capable to provide good performance, PID-PSOGSA control methods generate good response compared to PID and MRAC in term of positioning.